Booth Road is a low-management group home for adults with severe and persistent mental illness. We provide a safe and respectful environment and that supports our client’s autonomy and well being. 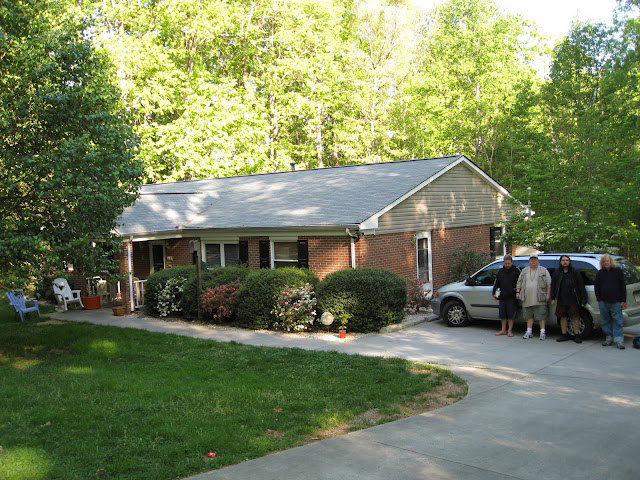 Our clients usually live at Booth Road group home for several years. Many of our residents step down to independent living arrangements after that time, but are welcome to live here as long as they care too. Residents are active participants in their treatment plan development and work daily on reaching their goals of stabilization, self-care (mental & physical), medication compliance, and independent living skills. Community integration is a cornerstone of our resident’s treatment planning. Our residents are out in the community most week days attending the local club house Club Nova, working, volunteering, or other activities of interest to that resident. As a provider, our goal is to maintain a homelike atmosphere that empowers our clients to strive for the highest quality of life possible. We invite you to come see for yourself if Booth Road could be the right place for you or your family member. Location: We are located 4 miles from Chapel Hill, in beautiful Chatham County. Clients from Orange, Person, & Chatham counties are given priority for admission. Eligibility: We serve adults that are 18yrs or older with severe and persistent mental illness, such as, schizophrenia, bi-polar, or severe depression. We are a co-ed facility. There are some income requirements for eligibility, but folks who have disability and social security usually qualify. Our residents must be ambulatory to meet state licensing requirements.